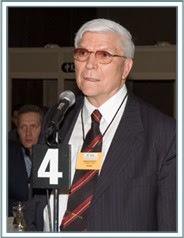 Note: A document "Canada, Chrysotile and Cancer: Health Canada’s Asbestos International Expert Panel Report" published in the Journal of Occupational and Environmental Medicine, December, 2008. In the editorial of the journal, Dr. Leslie Stayner, one of the scientiﬁc experts appointed in early 2008 to the Health Canada panel on chrysotile asbestos, whose report the government did not release, says:“What should be truly embarrassing to the Canadian government and people is their position that exposure to chrysotile asbestos is safe and that there is no need to warn the developing countries that it exports to, about the hazards associated with its use. There is simply no scientiﬁc evidence to support this position. The banning of asbestos is the only means for preventing a tragic repeat of the epidemic of asbestos related diseases that is still occurring in the U.S. and Europe in the developing countries that are currently importing and using chrysotile asbestos from Canada and other countries." Health Canada, the department of the government of Canada with responsibility for national public health but its ongoing support of the export of chrysotile asbestos has sullied Canada's global reputation. Canada's role in promoting the use of chrysotile in poorer nations like India, Pakistan and Vietnam is reprehensible. The current Health MInister is Leona Aglukkag, a Conservative Member of Parliament appointed by Stephen Harper, Prime MInister, Canada who is funding the Chrysotile Institute although it is endangering public health by disseminating misleading and untruthful information about chrysotile asbestos, especially in the world’s emerging economies like India is quite contrary to that from leading scientific institutions - such as the World Health Organization (WHO), the International Labour Organization (ILO), the U.S. Environmental Protection Agency (EPA), the U.S. National Institute for Occupational Safety & Health (NIOSH), and the International Agency for Research on Cancer (IARC) regarding the health risks of chrysotile asbestos. These institutions, as well as the overwhelming worldwide scientific consensus, have called for chrysotile asbestos to be banned. 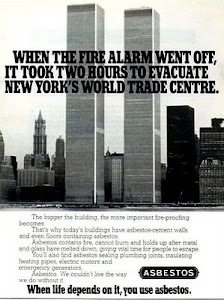 The Asbestos Institute (re-named the Chrysotile Institute in 2004) is funded by the Canadian government, the Quebec government and the asbestos industry. The Economic Development Agency of Canada and the Department of Natural Resources have given the Chrysotile Institute more than $20 million over the past 25 years. In February 2008, Canadian government announced another grant of $750,000 to the Chrysotile Institute for the next three years. Canadian Medical Association Journal has asked the Canadian government to stop this funding. Health Canada sat for more than a year on a report by a panel of international experts that concludes there is a "strong relationship" between lung cancer and chrysotile asbestos mined in Canada. Health Canada received the report in March 2008, resisting calls from the panel chairman to release the findings despite his plea last fall that the delay was "an annoying piece of needless government secrecy." 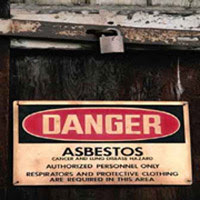 While the panel found the relationship between chrysotile asbestos and the rare form of cancer mesothelioma "much less certain," there is a "strong relationship of exposure with lung cancer," panel chairman Trevor Ogden wrote in the newly released introductory letter to the report. Ogden, editor-in-chief of The Annals of Occupational Hygiene and based in Britain, also noted the panel was comprised of members "who in the past have expressed strongly opposed views on this subject." They included industry consultant David Bernstein, previously retained by asbestos producer Union Carbide Corp. and Canadian and California asbestos mining companies. 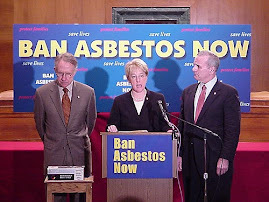 In an interview, panellist Leslie Stayner, director of epidemiology and biostatistics at the University of Illinois School of Public Health, said while the panel agreed the link between exposure to amphibole asbestos -- another form of the mineral -- and mesothelioma was stronger than chrysotile asbestos, the experts couldn't agree about the actual degree of that difference. 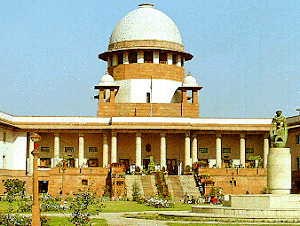 "The most important thing is what it doesn't say, which is some people have alleged it would say. What it doesn't say is that exposure to chrysotile asbestos is safe," said Stayner. "I think the bottom line here is that all forms of asbestos cause both mesothelioma and lung cancer. We will probably for many years still be debating this question of relative hazard of chrysotile. The fundamental question of whether it's hazardous or not is clear. I think the answer to that is, yes, chrysotile is a hazardous substance." The release of the report has reignited the debate about the future of the asbestos industry in Canada, a particularly divisive issue in Quebec, where the industry is concentrated. Pat Martin, the New Democrat MP who has long championed a ban of asbestos exports, said the conclusions of the expert panel should propel government to take action. "It makes our case. The reality is we're at a tipping point. The jig is up for the asbestos industry," said Martin, who worked in a Yukon asbestos mine as a young man without being warned of the health risks. Successive Liberal and Conservative governments have held firm on a "safe use" policy. Health advocates have long chastised this position as politically expedient to accommodate a Quebec constituency rather than a decision based on sound science. The panel was not asked to make a finding on the "safe use" principle. Stayner gave a personal assessment of the science, saying the concept is a misleading one. "My opinion, really, is safe use is a canard. We can't really believe that shipping these asbestos fibres to countries like India, that they're going to somehow magically use chrysotile in a way that is safer than we have in the West." Health Canada announced late Wednesday that members of the public can contact the department to receive a copy of the report, but that there is no roll-out planned. A spokesman chalked up the delay to Health Canada taking the "time necessary to carefully review the findings of the report, and to consult other federal and provincial partners."